Montessori is a method generally known as a self-directed approach of learning using a set of materials that are by nature self-correcting. The teacher observes and then directs or leads the child rather than merely instructing. The child not only learns concepts in reading or math, for instance, but more importantly learns how to learn, thus establishing a foundation that lasts a lifetime.  Compass Montessori School (CMS) is a progressive Montessori preschool located in Federal Way, Washington. We are affiliated with the Montessori Institute of America (MIA), which is a founding member of the Montessori Accreditation Council for Teacher Education (MACTE). Compass Montessori School of Federal Way (CMS) is a progressive Montessori preschool located in Federal Way, Washington. We are affiliated with the Montessori Institute of America (MIA), which is a founding member of the Montessori Accreditation Council for Teacher Education (MACTE). Children, ages 2 1/2 to 6 years old, love to learn by doing, experimenting, touching, and using all of their senses. Our enriching and engaging environment and our love of teaching fosters an excitement for learning in all of our students. With the advent of the information age, and now the beginning of the communication age, we are finding that traditional methods of learning can no longer prepare our children for the future. Instead, traditional methods can severely limit the ability of teachers and students to adapt to the 21st century. CMS develops lifelong learners who can think critically, solve problems, and work collaboratively. These are the skills your child needs to succeed in today’s fast-paced, ever-changing environment. Students are given room and opportunities to focus on tasks without distractions; this teaches them to apply abstract rules to solve novel problems. Traditional learning, which relies on rote memory, does not do this. Our graduating students enter public school “classroom ready.” Their strong foundation in the art of learning helps them grow and thrive both socially and academically. Our two daughters attend Compass. We’ve found it to be a safe, nurturing place where the teachers don’t teach just facts: They teach a love of learning. The Montessori method surrounds children with beautiful, engaging ways to learn, teaches self-regulation and focus, and allows them to follow their academic interests. The result is that at age 3, my youngest daughter is getting good at focusing on tasks, learning about the world around her, and building pre-writing skills, while our older daughter, who is turning 5, is reading insatiably and loves practicing addition. We have found the teachers to be incredibly dedicated and compassionate. They do well at communicating any concerns, hold regular parent conferences and often pause for a few minutes at pick-up time to tell us about what our kids did that day. This school has been more than I ever expected! The classrooms are always so clean and my daughter loves her school and her teachers. She grew very confident about herself in the school’s warm atmosphere. The school has a great student to teacher ratio. Mrs. Evers has been such an inspiration to me and I learned so much from her. She helped me see my child’s needs and challenges through a perspective of love and understanding. Moreover, she has an eye for qualified teachers and I completely trust her and her staff. My son is beginning his second year at Compass. We have been extremely pleased with his social-emotional, behavioral, spiritual, and educational growth at this preschool. The school’s adherence to the traditional Montessori philosophy and method of instruction allows my son to grow in a multitude of ways everyday building life skills, math, handwriting, language, science, and social studies. Compass has a high teacher to student ratio that appealed to our family knowing that our son had a high energy level and needed lots of redirection. My son has benefited from the cultural diversity and loving environment that Compass provides. As a parent, I am informed on a daily basis regarding my son’s progress. I am always greeted by kind and happy staff. Since beginning his preschool education at Compass, my child is more open to new experiences, shows better self-regulation, and gets along with peers not to mention demonstrates improved academic skills. I highly recommend Compass to families who are looking for educators who will honor their children as individuals and challenge them to enhance their strengths and improve on their areas of weakness. Compass Montessori School is a wonderful school. My daughter has learned more in the independent learning environment than I could have ever imagined. She is actually teaching ME new things all of the time! The teachers are very loving & make us all feel at ease. They genuinely care about their students & it shows. My kids love going to school here. They feel loved, respected and cherished by the teachers. They stay amongst the top (if not the top) of the class once they move on to elementary school being they have covered such a wide variety of subjects at Compass Montessori. They learn to be responsible, hard working people. They learn to complete a project and clean up after themselves once completed. The school is clean and well organized. The teachers are well educated. They communicate any news or updates often.This is a kind and loving environment which we will dearly miss after graduation. We have all learned so much from our time at Compass Montessori. Thank you! 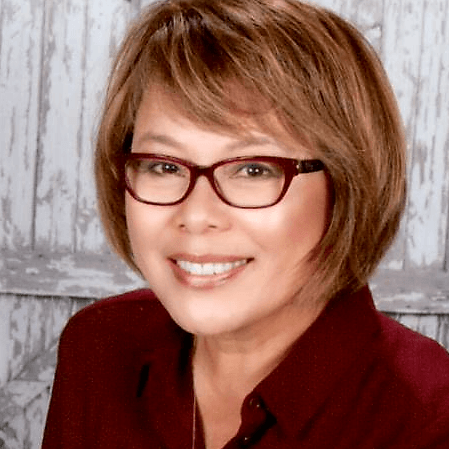 My name is Mina Evers and my area of interest and study is Montessori education. Since my youth, I have always been involved in activities and programs that have had to do with teaching and leading children. From my teenage years, I have been a youth leader, Sunday school teacher, and Sunday school director. I have come to realize that I have a deep love for children. While my professional career led me in a different direction, my joy has always been to be with children. This is the reason why I decided to take the Montessori education courses 14 years ago. The Montessori method immediately excited me and I have become very passionate about pursuing my goal with Montessori-based teaching. For me, teaching children is not only a passion but a way to give something back to this society by guiding young minds to develop the joy of learning and life skills that last their lifetimes. I have enjoyed every minute of the last 14 years doing what I love. I hope to enjoy teaching for many more years to come!